Understanding Different Types of Visitation - Crooks, Low & Connell, S.C.
During a divorce, visitation regarding the children might become an issue that is discussed. In Wisconsin, there are different types of visitation, each intended to ensure that children are safe and healthy while visiting either parent. Whether you are going through a divorce or considering one, if you have children, it’s important that you have an idea of how these different types vary and what they could mean to you and your family. Supervised visitation is often a solution for parents where there are issues such as accusations of abuse or a question about the parent’s ability to sufficiently care for the child. For example, parents with mental health problems, addiction, or serious physical disabilities, might need to have another party present during visitation. Although it might seem like supervised visitation might be a punishment of sorts, it’s intended to protect the children and ensure that they are safe while the parent visits. Unsupervised visitation is actually the most common. This type of visitation just means that the other parent is allowed to spend time with the children, without the requirement of the presence of another party. Unsupervised visitation can take place whenever the parents agree – weekends, vacations, during the week, or even during the summer. Unsupervised visitation just allows the other parent the freedom to spend time with the children according to the guidelines agreed upon in the divorce and custody arrangement. Virtual visitation is, of course, one of the newer types of visitation, thanks to the increasing use of technology. This type of visitation is usually agreed on when one parent lives a great distance from the other for instance for work or military deployment. Virtual visitation typically takes place through video messaging or conferencing with apps like Skype or Facetime. Sometimes, virtual visitation can be temporary until the parent is able to live closer to the child. In the end, no matter which type of visitation you agree upon, the primary focus should be what is best for the children’s well-being. Most couples assume that topics like visitation and custody are straightforward, but that isn’t always the case. 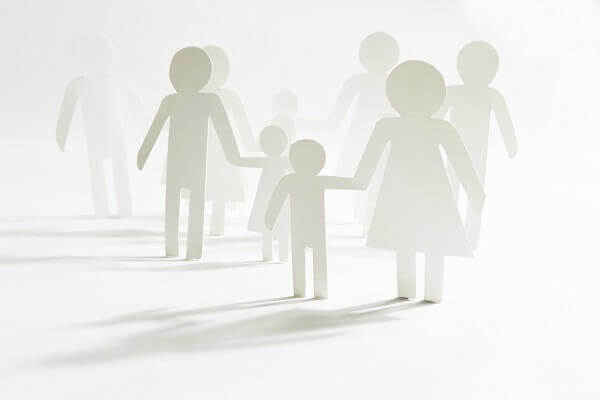 It’s important that you have an experienced legal team on your side to help guide yourself and the other parent in determining the best arrangement according to the welfare of the children. If you are considering a divorce or going through a divorce and have questions or concerns about visitation, let us help. To learn more about how we can help you with your dissolution proceedings, call our Wausau, WI law offices at (715) 842-2291 or request a consultation by filling out our online contact form today.